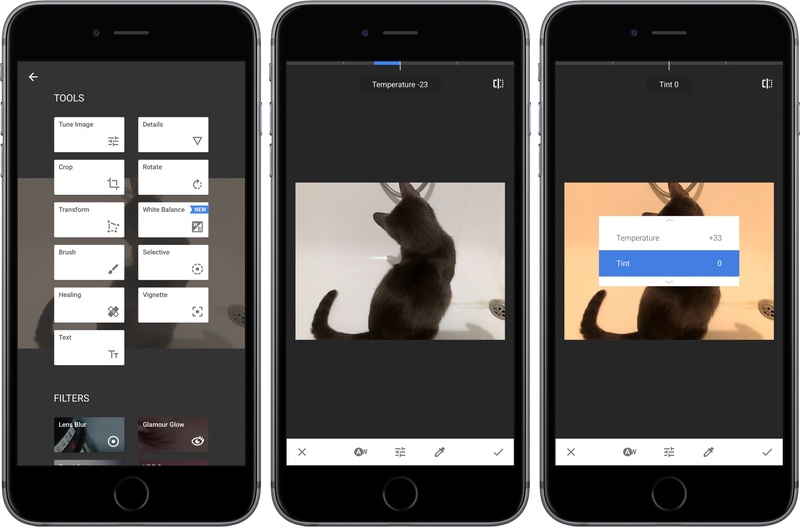 Google-owned Snapseed, the popular image editing app, was updated Wednesday on the App Store with a trio of improvements bringing the app’s version to 2.13. The first change tweaks the user interface to make it easier and simpler to select and change filter parameters. 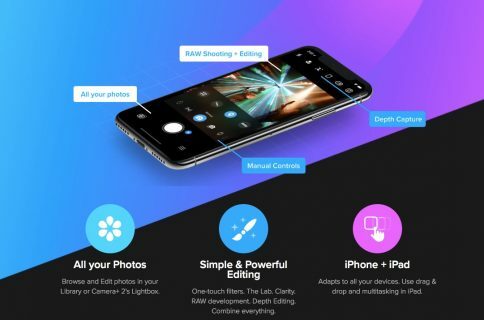 The second new feature is basically the dedicated tool which got launched on Android a while ago that lets you adjust white balance of your images. The last feature is a correction for developing RAW files with embedded color profiles. In addition to swiping up and down to choose image filter parameters, you can now also tap the adjust icon on the bottom bar to bring up a tap-enabled parameter selector, as shown on the screenshot top of post. Your selected parameter is always shown as a slider at the top of the screen. Like before, you can still swipe left and right anywhere on the image to adjust the parameter. The dedicated white balancing tool lets you adjust the colors in images to look more natural: you can use the auto correct option or the included color picker for fine control. Finally, when opening RAW images that have been captured with a creative setting on your camera Snapseed will now show the default RAW colors. “Previously the embedded color profiles sometimes limited the creative choices in editing your RAW files,” says Google. Snapseed supports non-destructive RAW image editing on iOS 10 devices with RAW file format support across 144 camera models. RAW lets you work with original image data as captured by the CMOS sensor before any post-processing occurred, thus enabling unmatched accuracy while bringing out details you didn’t know existed. For instance, changing the exposure in a RAW image file in Snapseed has a comparable effect to adjusting the setting within the camera electronics. With RAW in Snapseed, you can brighten up shadows, recover lost highlights, add structure and detail to the original RAW data, apply fine white balance adjustments to the native RAW data and much more. Gran Snapseed for iOS at no charge from the App Store.